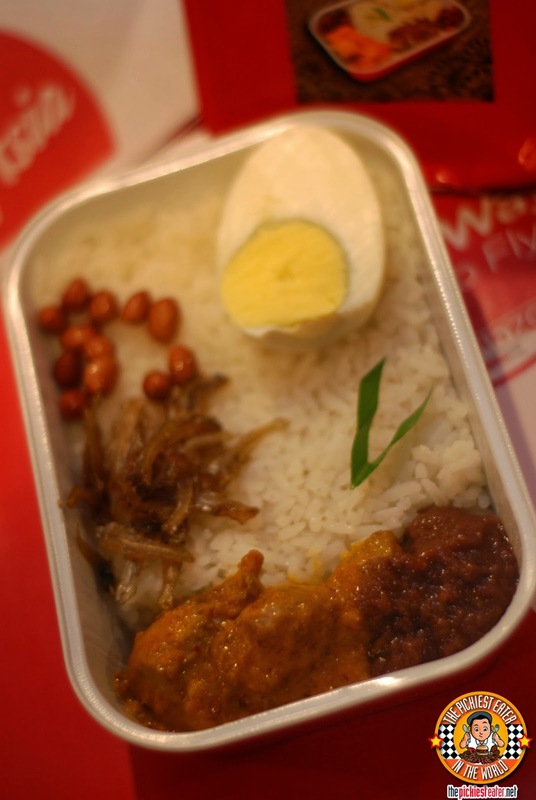 THE PICKIEST EATER IN THE WORLD: AirAsia Zest Brings Good Food in the Skies! You’ll usually hear this complaint from a lot of people when talking about food being served in airplanes. It’s become a known fact that one can’t really expect a scrumptious feast when on board a plane. First of all, servings are small. This part is forgivable because of course they have to take into consideration the weight and space in an aircraft. But they could at least make the taste good. I do not recall eating an airplane meal that is not bland. (Thank goodness they serve those meals with a sachet of salt.) But wouldn’t it be better if airplane meals actually taste good? Thankfully, AirAsia Zest is now in Manila and has made yummy airplane food become a reality! Meet AirAsia’s Hot Meals! It’s AirAsia Cafe’s pride and joy. 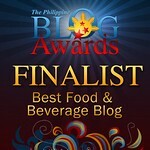 Real food bursting with lots of flavors at very affordable prices! Sounded almost too good to be true! Aside from being very tasty, the meat they serve are very tender, and all are surprisingly very affordable. On-board selling price are only P200 per meal! Cheap, right? 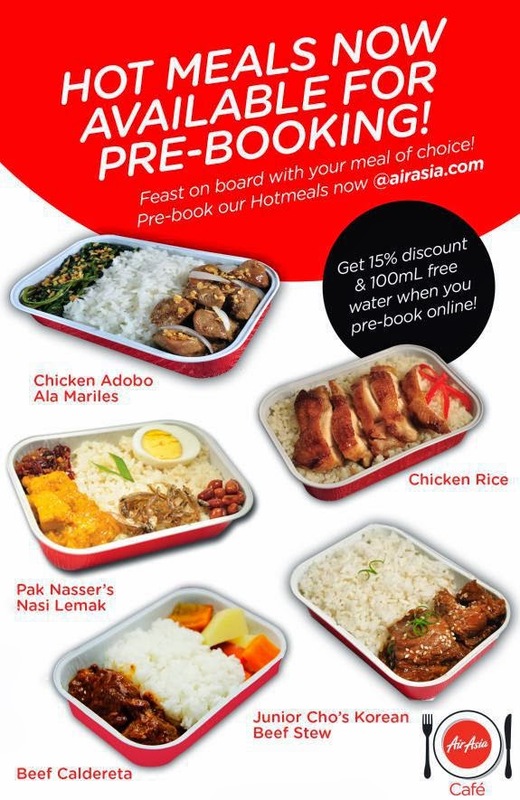 But if you book your flight with AirAsia, you can also already pre-book your Hot Meals at airasia.com via Manage My Booking. This way, meal prices drops from P200 to P168! That’s P32 savings! 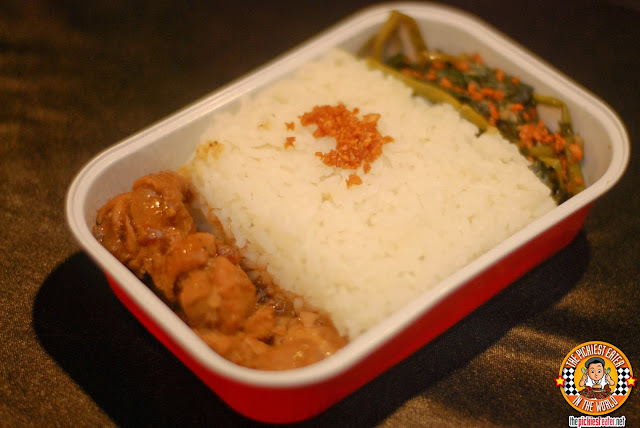 Also, these hot meals are gluten-free and does not include eggs, seafood, and dairy, (except the Nasi Lemak) making it safe for passengers with the usual food allergies. 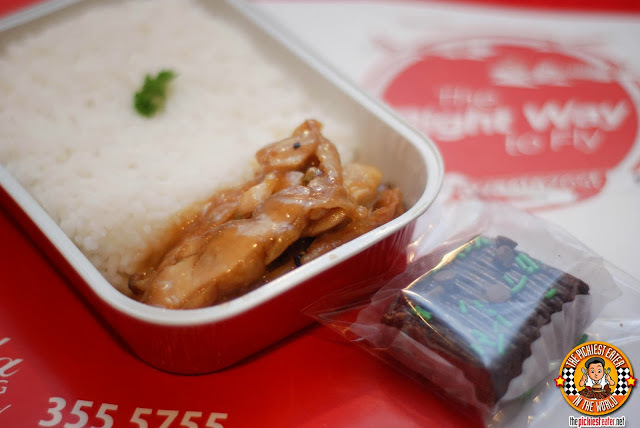 The Honey Glazed Chicken is AirAsia Zest’ limited Christmas meal. This is something Richie would love because it’s sweet but it also has the right balance of saltiness. Not to mention it’s very tender! It is actually served with a Christmas brownie and a Dalandan soda. The Junior’s Korean Beef Stew was also very good. My personal favorite. The meat is very tender and full of flavor! Personally I just want the carrots to be softer. But other than that, it’s all good! The Chicken Adobo ala Mariles is very tender and is bursting with that garlic-y flavor all of us Filipinos know and love in adobos. It’s served with kangong on the side sprinkled with more fried minced garlic. 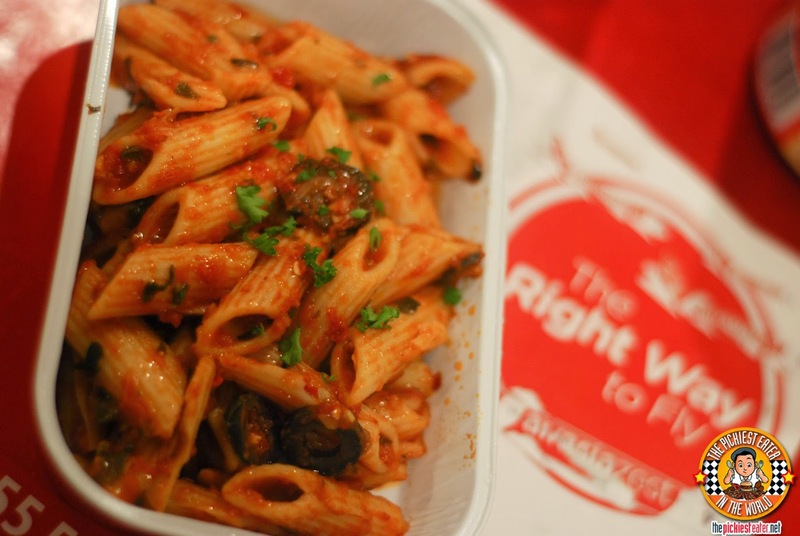 Maan’s Pasta Arrabiata is perfect for vegetarians and those who love spicy food . Correction... REALLY spicy food. I was not able to take the level of heat it had. Or I may have possibly bitten into a chili seed. I personally like my pasta creamy with lots and lots of cheese! Pak Nasser’s Nasi Lemak is one of the group’s favorite of the night! If you look at it, the serving may seem small, but because of the heat from the meat and curry, you’ll need to eat like 2 spoons of rice per small piece of meat. And it’s the type of heat that is quite addicting! After chugging down a glass of water, I felt the need to eat more. I especially love that they serve it with the elements of a real nasi lemak. Dilis (small crispy fried fish), shrimp paste, nuts, and a hard-boiled egg. Unlce Chin’s Chicken Rice was also very good. Unfortunately I don't have a photo that evening . But the rice is cooked in chicken stock and then topped with very tender Heinanese Roasted Chicken. The chicken meat was very tender, and it had just the right mild touch of heat. No water-chugging needed for this one. They also have Beef Caldereta which we didn’t get to try but I’m assuming it’s good too based on how tender all their meat are. This is only available for online booking at P168. AirAsia Cafe’s desserts are to die for! 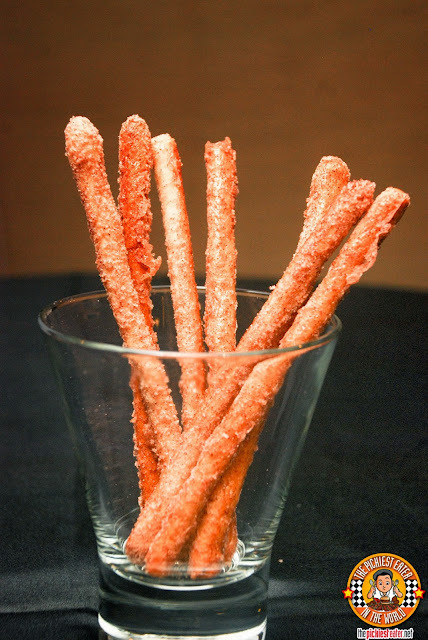 Starting with their cinnamon sticks. It’s light, crispy, and flaky. Then the cinnamon and sugar coating adds a more interesting texture and pleasurable sweet taste on the lips! It’s so good that I’ve been nibbling it all night! This is being sold on-board for only P80. Next is the Choco Banana Pound . 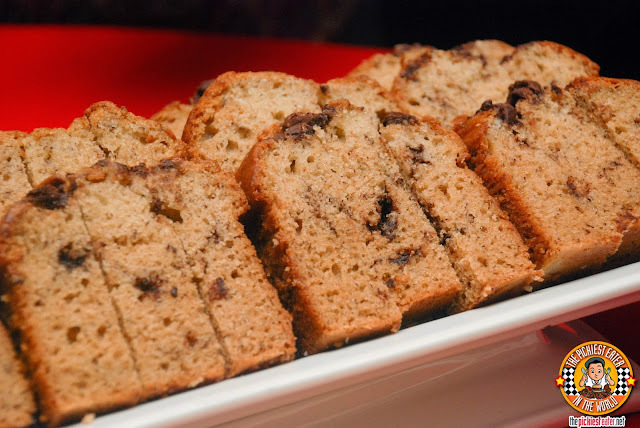 The chocolate chunks add uniqueness to the banana cakes I’m used to. It’s moist and not very heavy on the stomach. It’s only P90! 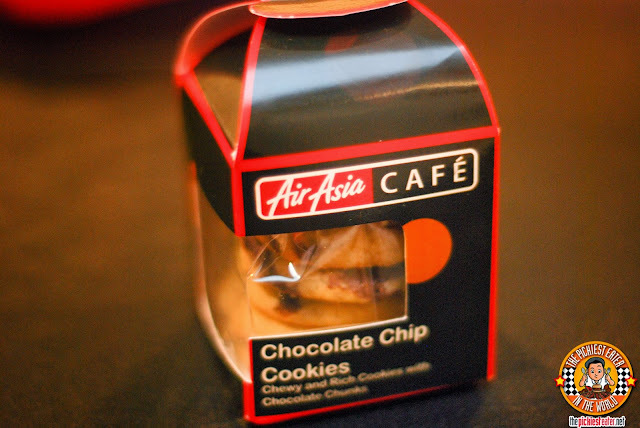 AirAsia also has Chocolate Chip Cookies. This, for me and Jane of Between Bites, was the dessert star of the night! 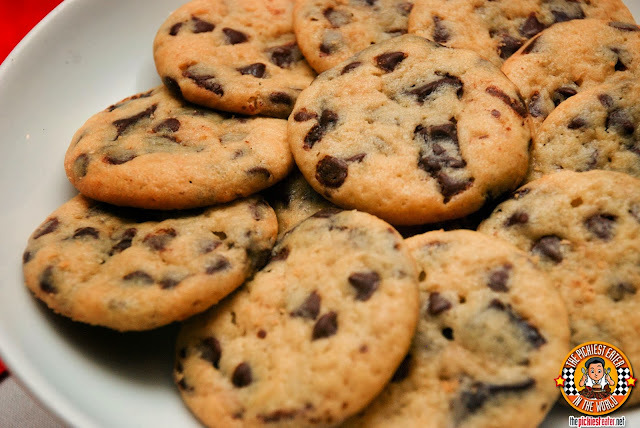 We originally planned to split one cookie just to try it. Then we each went our own ways grabbing more of these bad boys! They gave us some to take home. So I gave it to Richie as soon as he got home that night and he finished the box in one sitting! I guess he loved it too! The Chocolate Chip Cookies are sold for only P80 in this cute little box. And then there’s the Fudgy Brownie Bar. 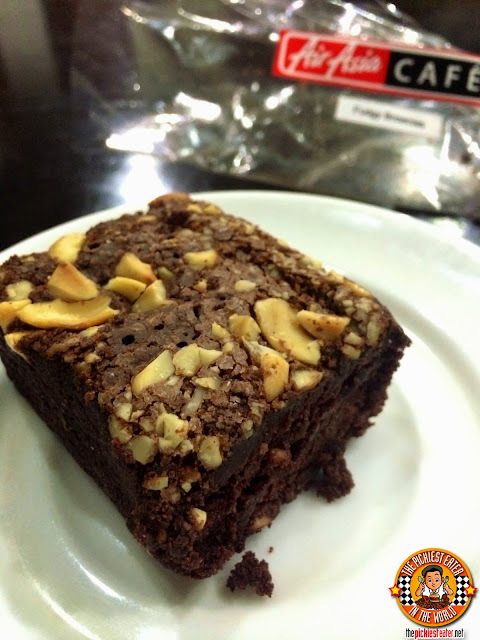 It’s a moist brownie sprinkled with different types of nuts for an added texture. And I love that it’s not overly sweet. Just right. Priced at P90. AirAsia Cafe also serves yummy sandwiches. And if you look at it, it looks like it came out of a Subway sandwich parlor. We didn’t get to taste it that evening though but it looked really good! They have Chicken Caesar Sandwich, Roasted Chicken Sandwich, and Sundried Tomato Sandwich. Though I have only had a number of long flights that served actual meals, this was my first time to taste a restaurant-quality food served from an airplane food pushcart. 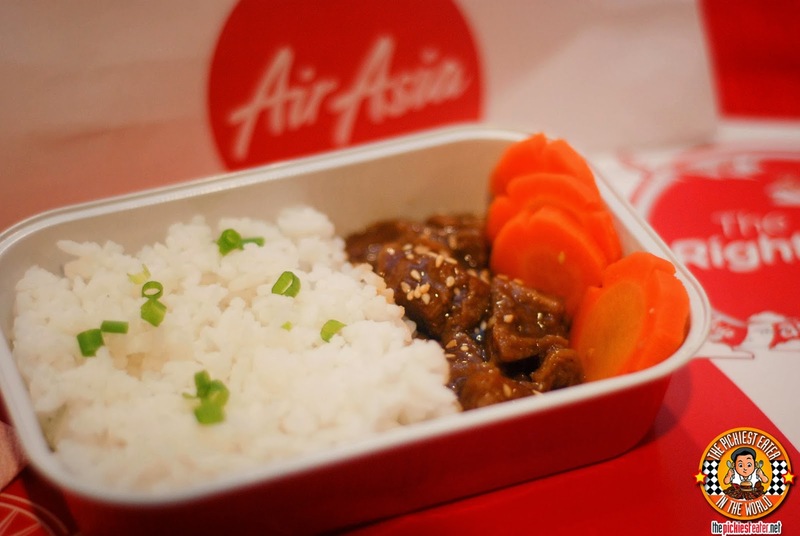 It will definitely make you consider booking to AirAsia just because of the food, I tell you! Great job AirAsia!!! Zest Air Rebranded as AsiaAir Zest! Last September 21, 2013, Zest Air joined with Air Asia, known as the World’s Best Low-Cost Airline., thus becoming the new brand“AirAsia Zest”. Approved by the Civil Aeronautics Board (CAB), the “Zest” name was incorporated into AirAsia’s iconic red hot circle logo. AirAsia Zest provides world-class travel experience but for a very affordable price, which is what AirAsia Zest feels we Filipinos deserve. If you’re planning to have an-out-of-your-island trip soon, why not try AirAsia Zest Philippines? Not only will you have a safe and smooth flight but your tummies and palette will be very satisfied too! I can safely say that next time my family plans a trip to any of these destinations, I am definitely going try AirAsia Zest! I feel it’s a nice change of experience especially with their yummy meals and deserts! You should too! Book your next trip now at www.airasia.com!